Since the invention of the ruby laser in the late 20th century, scientists and physicists have been keen on identifying its usage to cure and treat various dermatological and cosmetic skin conditions. Continuous work and experiments have led to the improvement of the various laser systems which are now able to treat many imperfections of the skin and certain skin ailments, along with scarring that might result from an injury or disease. 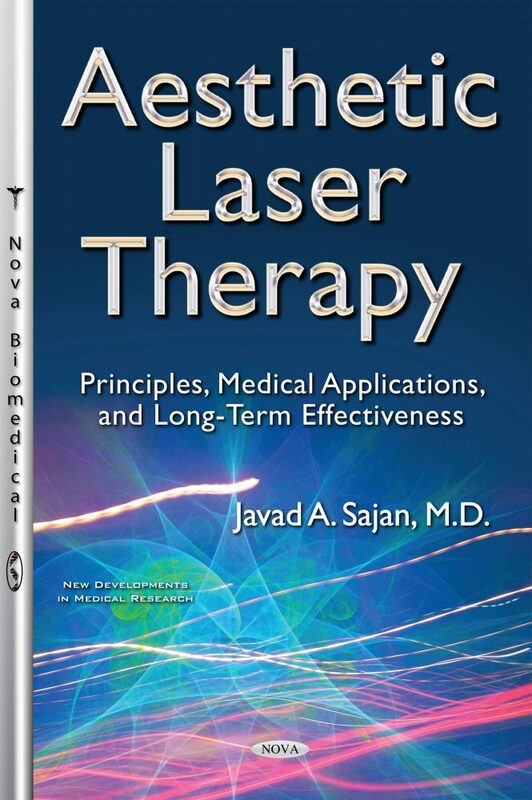 Aesthetic Laser Therapy: Principles, Medical Applications, and Long-Term Effectiveness brings forth a wealth of information regarding the history of development of laser technology and how its uses have also been developed through trial and error. Aesthetic Laser Therapy: Principles, Medical Applications, and Long-Term Effectiveness familiarizes the reader with the various techniques that have been developed over time. These include ablative and non-ablative skin resurfacing and fractional and non-fractional methods. An abundance of relative figures and charts help the reader in comprehending the theoretical information as well. Each chapter of the book has been carefully designed and elaborates upon the different skin conditions that can be treated with each of the methods, what the outcomes might be, what precautions must be observed and information regarding careful patient selection. You will also find a chapter that has been specifically designed to familiarize the reader with the necessary safety procedures that are necessary to carry out laser procedures. Laser treatment methods are commonly preferred for permanent hair removal, tattoo removal, skin pigmentation disorders and of course to decrease or diminish the signs of photoaging. The physiology and treatment of each of these conditions is discussed. Liposuction is another field of cosmetic surgery that has benefitted by the invention of lasers. With laser treatment methods, the downtime has been reduced with improving results. A review of traditional suction assisted liposuction and liposuction with the use of energy devices is discussed. As the demand laser treatment grows, so does the number of laser treatment providers. Aesthetic Laser Therapy: Principles, Medical Applications, and Long-Term Effectiveness ology is valuable in providing the necessary information to develop a complete understanding regarding the anatomy of the skin, the science behind the laser technology and how both of these interact with each other.